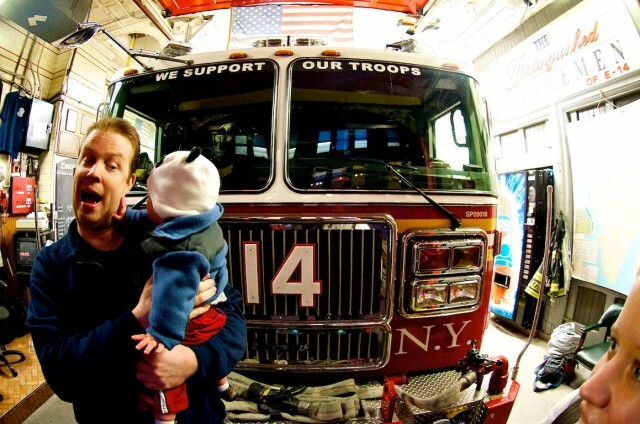 You are here: Home / Family / Noah Meets Chris Burke (aka Corky From Life Goes On) And Befriends A New York Fire Fighter! Today is day 4 of Noah’s first trip to New York, and let me tell you, for a 1 year old, this kid knows how to have fun in the Big Apple! 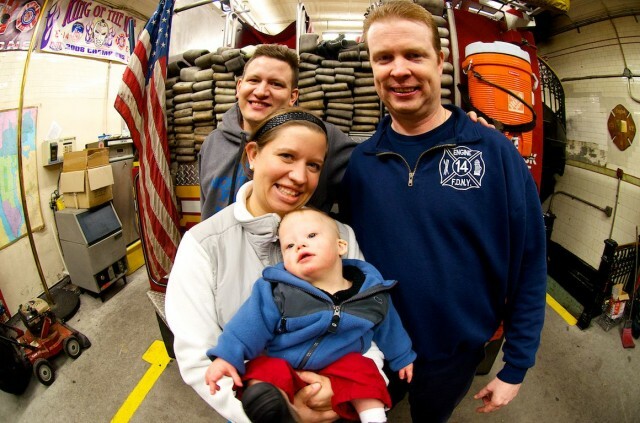 Yesterday we had a great time hanging out with Ryan Langston, the young model with Down syndrome, and his family. 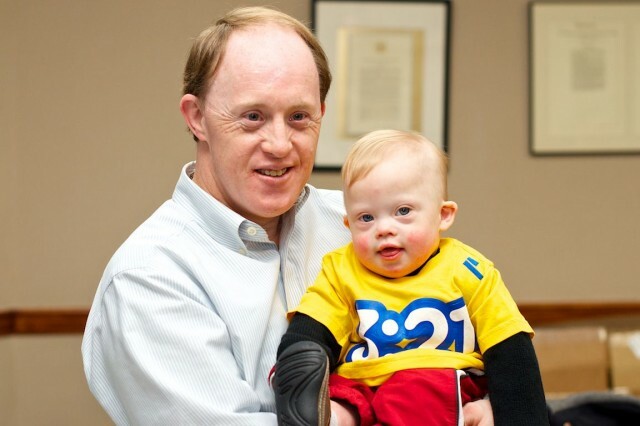 And today we had the privilege of meeting a pioneer in the Down syndrome community, Chris Burke. Before Becky, there was Corky! When you think of actors (or actresses) with Down syndrome you may think of Lauren Potter who plays Becky Jackson on Glee. But way before Becky ever put on her cheerleading outfit, Chris Burke was playing the role of Corky on the television show Life Goes On . Here’s a little known fact about how Life Goes On got its start. Chris Burke’s first acting job was in the movie Desperate. ABC producers saw the movie and enjoyed Chris’s acting so much they asked the executive producer (Michael Braverman) to create an entire television program around Chris Burke, and Life Goes On was born. Doesn’t Chris Burke look great?! What’s Chris (aka Corky) up to these days? 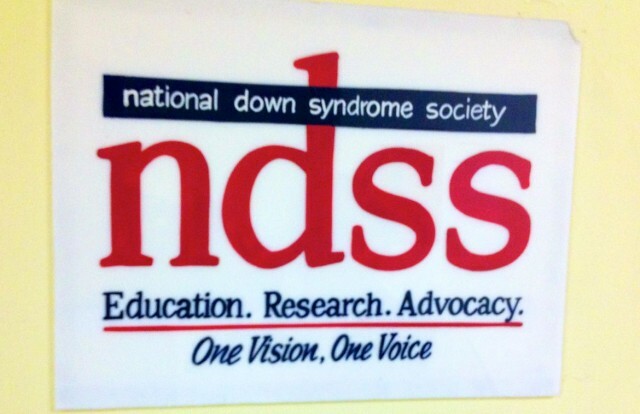 We had the opportunity to visit The National Down Syndrome Society’s office while we were in New York. 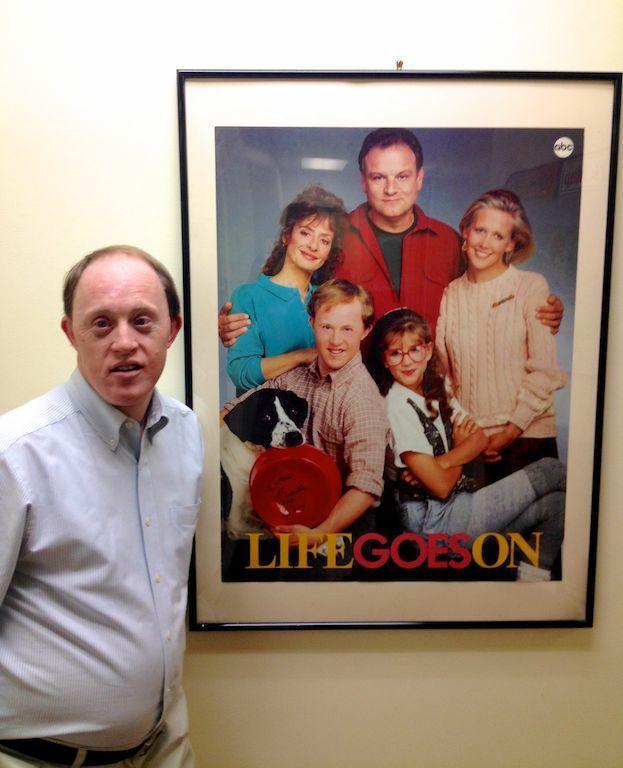 What’s funny is we were going to their offices to meet with some of their staff, and had no idea that Chris Burke even worked for the National Down Syndrome Society, much less expected to meet him. But then, in the middle of our meeting in the conference room, walks in Chris Burke to grab his lunch that was in the small refrigerator in the conference room.I couldn’t believe it! Not only was it super cool, but Chris and Noah became instant friends! Winning! Noah made a new friend! 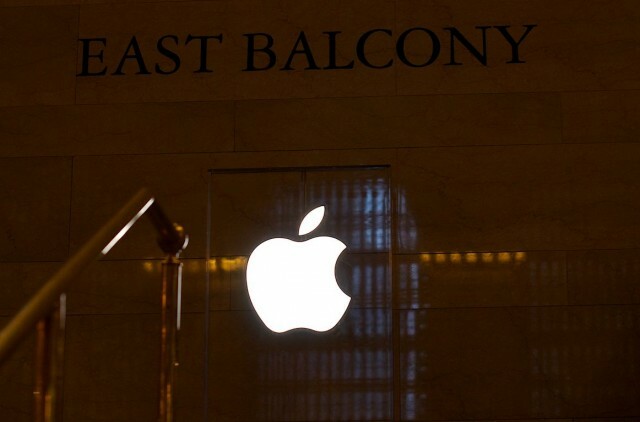 Chris and I became good friends as well….. Hanging out with our new friends from NDSS! 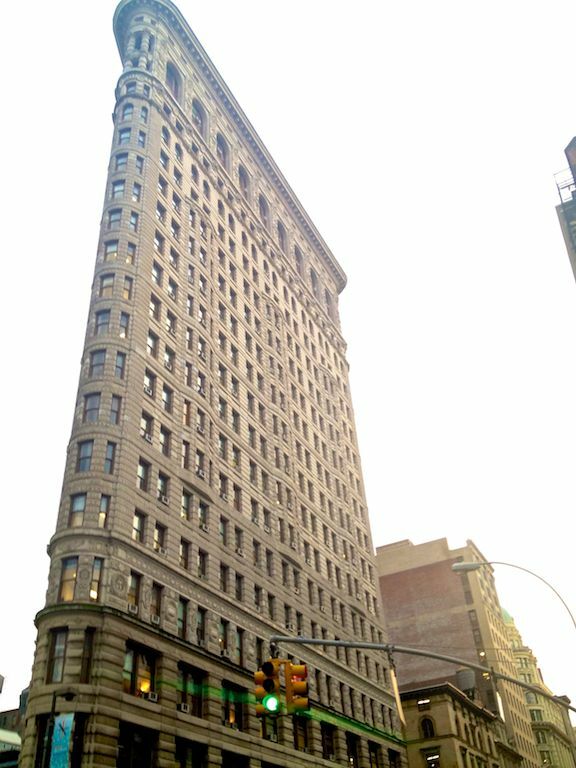 The picture below is of a building called “The Flatiron Building.” It’s one of favorite buildings in New York simply because of it’s uniqueness. Pretty cool, huh? The flatiron building is, well, um, flat! And now for one of the coolest things I’ve done in my entire life! There are few things in my life that make my list of “the coolest things I’ve ever done.” Having our son, getting married to the most awesome lady in the world, meeting the Eyeglass rapper in Japan, finishing my Master’s degree, you know, things like that. 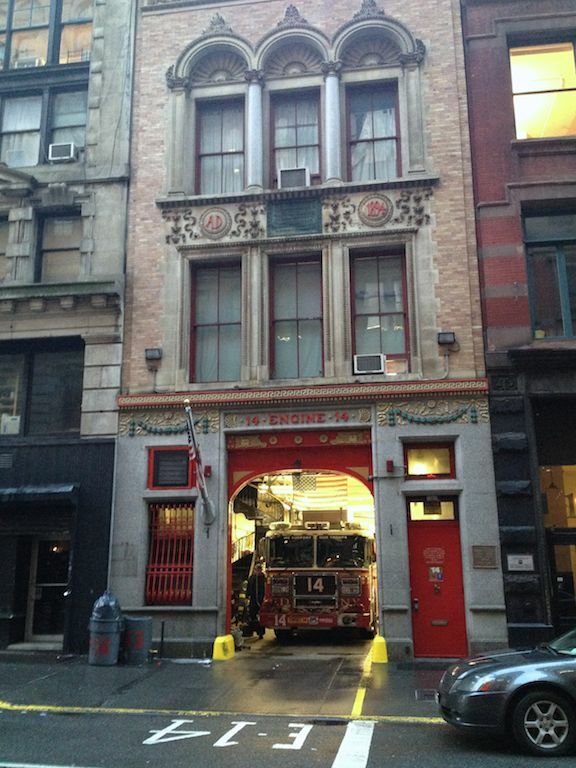 Well, today I’m excited to be able to add another awesome adventure to that list; visiting a New York City Fire station! We walked over to Fire Station 14 and met Michael, who turns out to be the fireman in charge of actually driving the firetruck! How awesome is that!!! 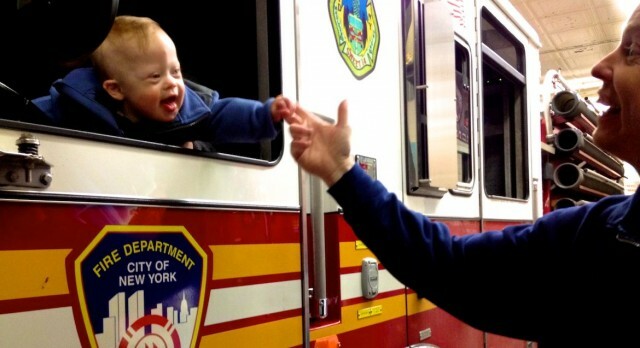 Michael also has a son with Down syndrome, and it turns out he, and all the guys in his station, are huge softies! Shhhhhh, don’t tell them I told you that! 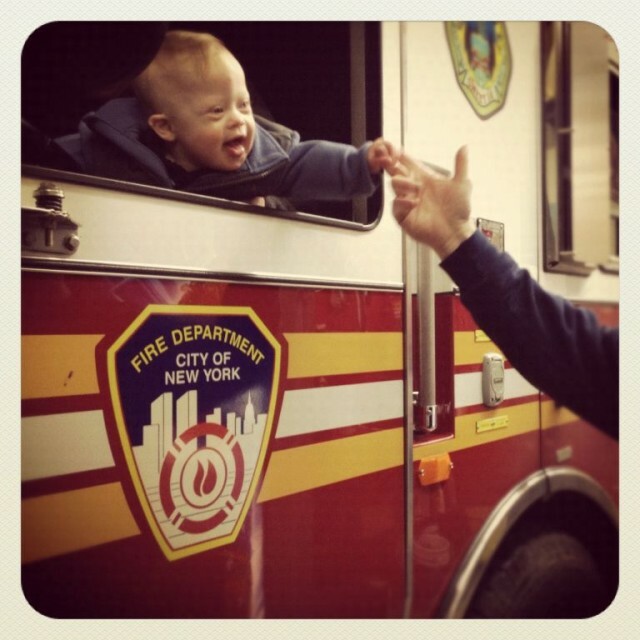 But seriously, it was a lot of fun seeing all of the huge, manly, New York City Fireman totally melt when they got around a little baby. It really was touching. I was especially touched by how great a dad our new friend Michael was. He was totally in love with his family, and told us all about them, including showing us lots of fun iPhone pictures. I love seeing father’s like Michael who are doing it right. I don’t think I’ll ever forget the contrast of this huge, stud fireman, totally melting when he was talking about his family, I think I may have even saw a tear! 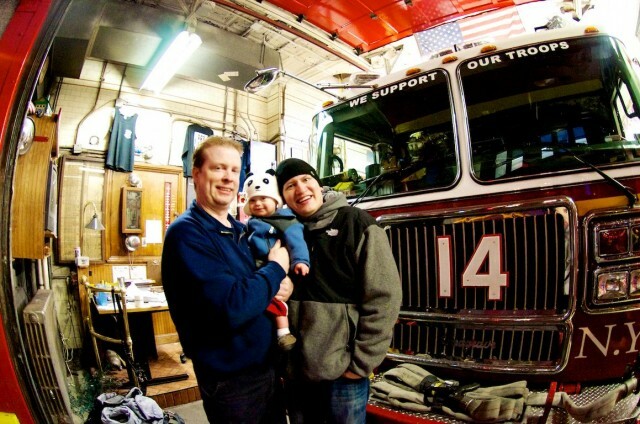 I’m glad Michael reached out to us and invited us to come by the Fire station. 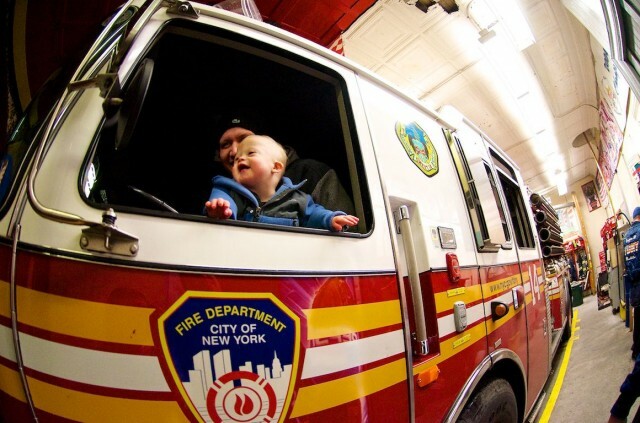 Not just because we got to go on an awesome tour of the fire station, (and something else that was crazy awesome, but I’m not sure if I’m allowed to publicize it, so it’ll have to be my secret…but let me just say…it was awesome!) but because we made a new friend. 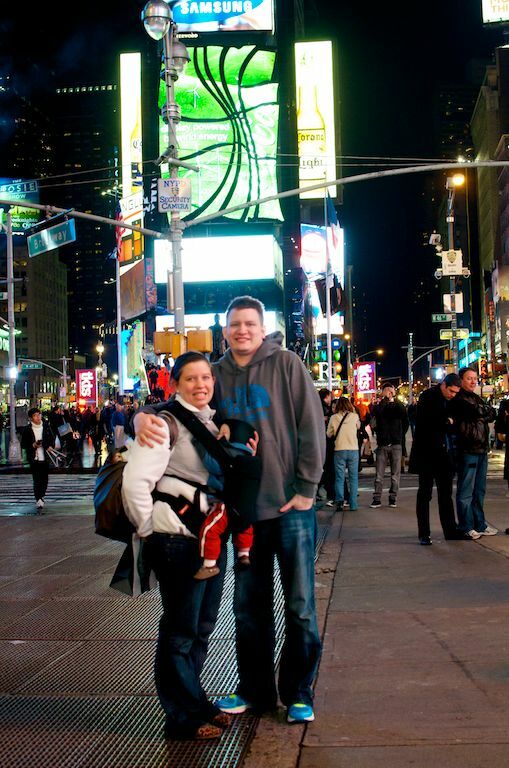 We’re looking forward to visiting with Michael the next time we’re in New York, and hope we got the chance to meet his family as well! And to Michael, thanks for opening up your home away from home to us, and for being such a great dad and husband. It’s a privilege to call you a friend! Afterwards that wasn’t much that could top that, so we hung out a bit before heading to the Hotel to crash. Tomorrow we were looking forward to heading home. Did you watch Life Goes On, or more recently Glee? 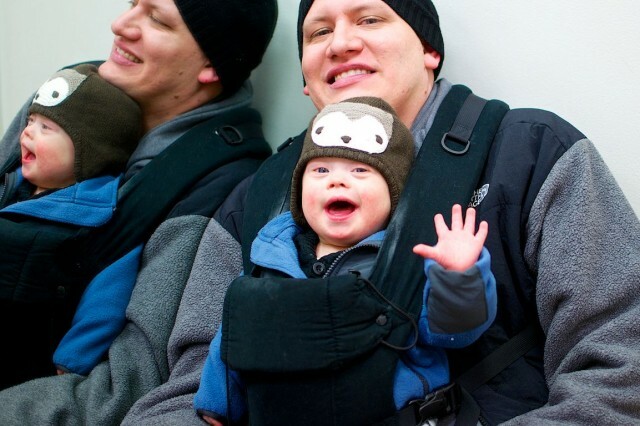 Do you enjoy seeing television shows that show people with special needs? Do you think it’s important for movies and television programs to be inclusive in their casting? Why or why not? Leave a comment below and tell us your thoughts. Thanks for the kind words. We’re thankful to be his parents. I LOVE your blog. Read it every time you post. I am not (yet) a parent, maybe one day my Husband and I will welcome a little bundle of joy into our lives but not YET! What a cute little boy! He must have grown now.He is so lucky to have a new friend like Chris burke who seems very nice and friendly.He has a big heart! Best wishes and i hope that your son will become a great boy with big achievements.Take care of him! Love from Severine..a french woman.